We believe that classroom learning is only part of the important learning that occurs in the preteen years of middle school. In addition to academic learning, we prioritize activities that promote good social skills, teamwork, independence, self-confidence, open-minded exploration, and hands-on experiences with the new and unknown. When our students transition to middle school, they begin to learn about their responsibility as leaders in our school through the trust and privileges they earn to participate in special activities both inside and outside of school. While we want our middle-school students to remain kids for a few more years, we also know it is important to give them the right opportunities to explore the world of adulthood that they are approaching. We offer numerous ways for our middle-school students to experience what the world has to offer them. As part of the Hospitality Sports League, middle-school students play flag football in the fall, basketball in the winter, and soccer in the spring against other independent and charter schools in Asheville. They practice once a week at school and play regular games with other league members after school on Tuesdays. At least once a month, we leave the school on a Friday for a Teen Club outing in order to teach our students about the world outside of the classroom, both through educational field trips and fun team-building outings. 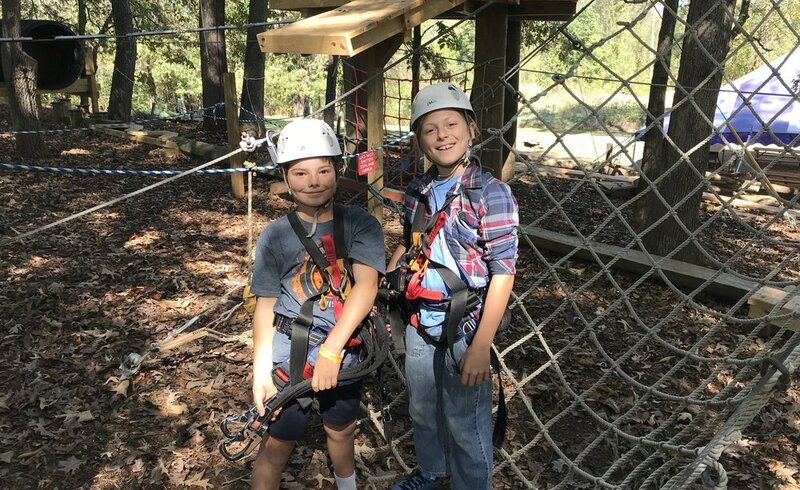 We might go to the Mountain State Fair, participate in a high ropes course, play paint ball, visit a local research laboratory, explore downtown Asheville, search for fungi on a Mountain-to-Sea Trail hike, complete a scavenger hunt, or go on a two-day campout. In addition to morning classes and afternoon study hall, middle-school students have the opportunity to participate in a variety of workshops to supplement their learning. One afternoon a week, our students will take a break from academics in order to explore different topics of interest, such as study skills, building with tools, fine arts, business, cooking, and computer coding. Each workshop will run for four weeks, culminating in a small project that allows our students to apply and practice the new skills they have learned. Eighth-grade students will take part in a year-long capstone project based around a topic of their own choosing. Incorporating research, writing, a physical product, and a presentation to the school, this project will showcase the skills our students have acquired during their time at The New Classical Academy, while allowing them to pursue their personal interests.